The choice of home professionals everywhere, the Orbit Trackball with Scroll Ring is hugely popular for everyday productivity and comfort. The scroll ring allows you to spin through web pages and long documents without clicking. 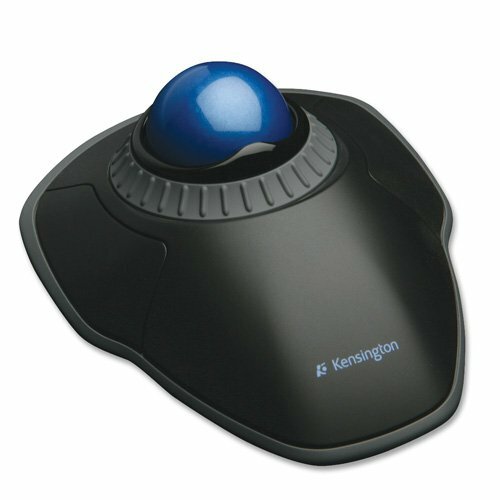 The trackball offers better ergonomics, requiring less wrist and hand movement to ease repetitive-stress injuries, plus thereВќs a detachable wrist rest. Connector/Port/Interface: USB; Left/Right Hand Use: Left/Right; Mouse Technology: Trackball; Wired/Wireless: Wired.